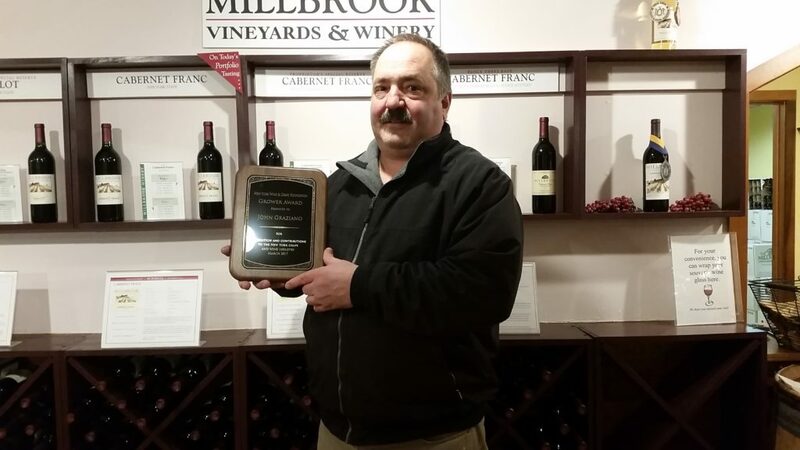 Millbrook Vineyard & Winery's John Graziano Wins "Grower Award"
I am so lucky to be involved with the Hudson Valley wine industry. It’s moments like this that I feel so fortunate, and it’s when I’m honoring someone that it brings tears to my eyes. John Graziano has been Millbrook Vineyard & Winery’s winemaker and vineyard manager since the beginning. He’s the one and only winemaker/vineyard manager at Millbrook. A few weeks ago he was honored by the New York Wine & Grape Foundation at their Unity Banquet receiving the Grower Award. The Unity Banquet was created about 30 years ago to recognize, encourage and celebrate cooperation among grape growers, wineries, grape juice producers and others to advance the entire industry. Nominated by Michael and Yancey Migliore of Whitecliff Vineyard & Winery, John was awarded the Grower Award which recognizes vineyardists who have made exceptional contributions to the New York grape and wine industry. John is a winegrower who manages everything from the vineyard to the cellar at Millbrook. John couldn’t make it to the Unity Banquet, I didn’t either, but the award was passed to me to present to John. On Thursday, March 9, I stopped in at Millbrook and John was labeling some Pinot Noir for a private label client. He stopped what he was doing and I presented the award to him. I wish I had my camera out at the time to capture the moment. I wanted to do a Facebook Live broadcast but I knew if I did, he would have ran and hid behind the barrels. When John opened the box the award was in, the expression on his face choked me up and my eyes swelled up with tears of joy. 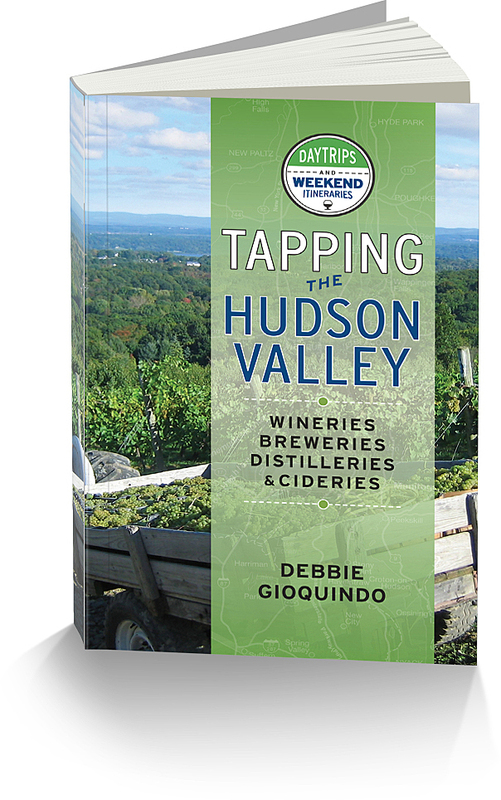 I’m sure John didn’t know I was observing so intently, but the look of pride and accomplishment on his face and I’m sure a tear or two in his eyes was one of the happiest moments I’ve experienced in the Hudson Valley wine industry. Congratulations John it’s well deserved!